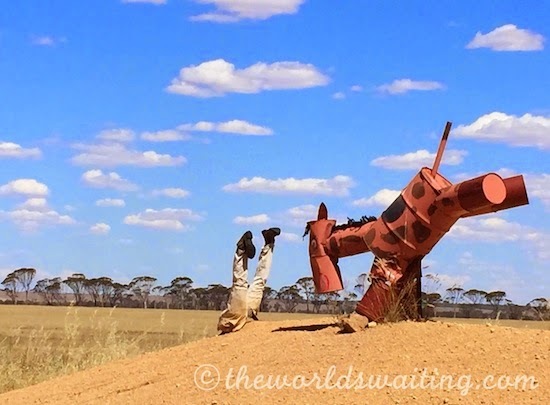 “Is that a horse made from scrap metal?” It’s not something you see on every roadtrip, but a small farming community in Western Australia’s wheatbelt region has created an open-air art gallery along one of their highways. Moving to Australia gave me a fresh perspective on distance. Our nearest city is Perth in Western Australia and it is over 700 kilometres away. That’s about the same distance as driving from Paris to Barcelona, or New York to Detroit. 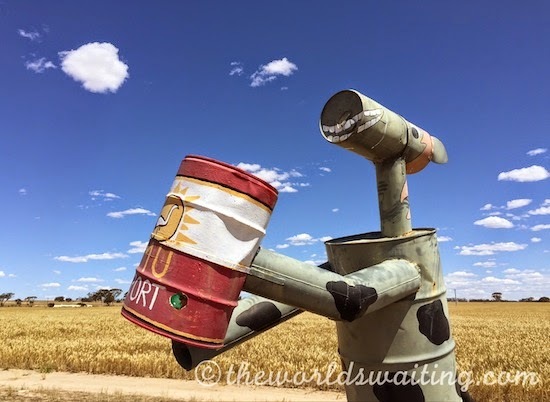 As we roared along the highway, about five hours into our eight-hour journey, we spotted the first of over 70 tin horses that line the main road leading into Kulin. 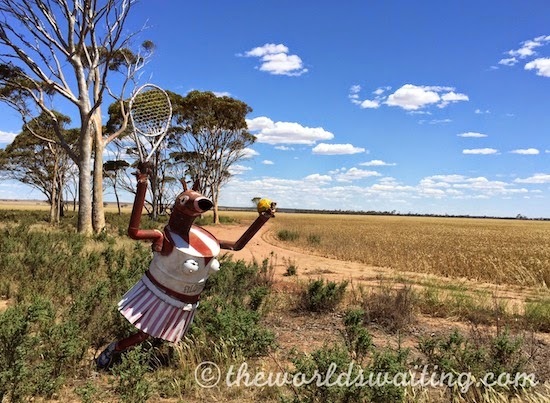 Kulin is a small farming community in the middle of Western Australia’s Wheatbelt area in the southwest. Kulin holds a tin horse competition each year, coinciding with the annual Kulin Bush Races in October. Locals make the amusing tin horses out of scrap metal from local farms. There are over 70 tin horses on display. Some are decorated to a theme, such as the Scottish tin horse (kilt, bagpipes and all! ), the hockey, golf and tennis playing horses, others are flying planes or sitting on a toilet reading ‘playhorse magazine’. The majority of the horses are on either side of a 15 km stretch of the road leading east out of Kulin, towards Lake Grace. There are others to the west of town and also dotted around the town site. The horses add a splash of creativity to Kulin and the community’s embracing of them gives the impression that the 800 ish locals are good-humoured, fun-loving folk. They certainly provide a fun distraction on the long roadtrip.